Berlin's defense budget has long been below NATO's target of 2 percent of a member's gross domestic product. BERLIN: Germany has rejected President Donald Trump's claim that the country owes NATO large sums for underspending on defense. 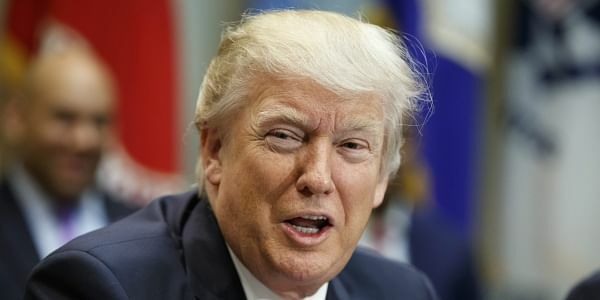 Trump tweeted Saturday that "Germany owes vast sums of money to NATO and the United States must be paid more for the powerful, and very expensive, defense it provides to Germany!" His comments came a day after his first meeting with German Chancellor Angela Merkel, which he described as "great." German Defense Minister Ursula von der Leyen said Sunday that "there's no debtor's account at NATO," adding: "To tie the 2 percent of defense spending, which we want to achieve in the middle of the next decade, only to NATO, is wrong."